In the credit card payment the Bank will allow, simultaneously with the shipment of the order, only the debit of the amount to be paid. If the order is cancelled, Lyra SRL will cancel the operation and stornarne the amount. 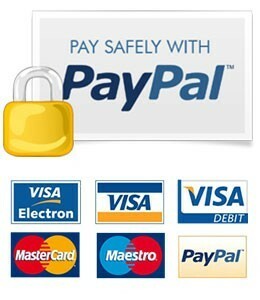 Online transactions with credit card are made directly on the PayPal site using the secure connection of the Secure Server that adopts the security system SSL (Secure Socket Layer). Thanks to the encryption system, that prevents the reading of the information sent via the Internet, no one besides the Credit Institution, which verifies the validity of the data, may be aware of the details of the credit card used by the Customer. In no phase of the purchase Lyra SRL is aware of the credit card number of the Client as these data are transmitted directly, via the secure connection, to the Credit Institution. Payment is made through bank transfer by the customer (via the home banking or directly at the counter of the bank). 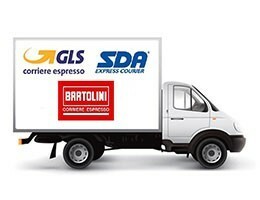 In this case, the 'order will be dispatched only after the confirmation by the Bank, the amount has been credited to the current account of Lyra SRL. The bank transfer must contain necessarily, in the causal, the number of order and should be made payable with the bank information that you'll find in your order confirmation.